Moving back and forth between the pages of The Inventors of Tradition II, a flurry of personal recollections and research materials come to mind. These begin with black-and-white flickering images of sporting parades to mark the 1938 opening of The Palace of Art in Glasgow, and of gymnastics being coached in an old church hall filmed by Murray Grigor in his 1970s film Sports for all Seasons, played out onscreen in the archives of the National Library of Scotland. From a newspaper article in The Herald charting the design commission for a revised and fashionable uniform for St Leonards School (St Andrews), to dancer Steve Paxton’s cut-out images of athletes used to choreograph his 1961 piece Proxy, instructing his dancers to find their own way to transition between athletic poses. Closer to home, an understanding of the myriad ways that school socks could be folded down and rolled in the playground, rightly or wrongly. I recall the signed football shirts of Edinburgh teams, sandwiched inside photo frames, hanging like collectibles high up the walls of pubs run by my father and uncles. 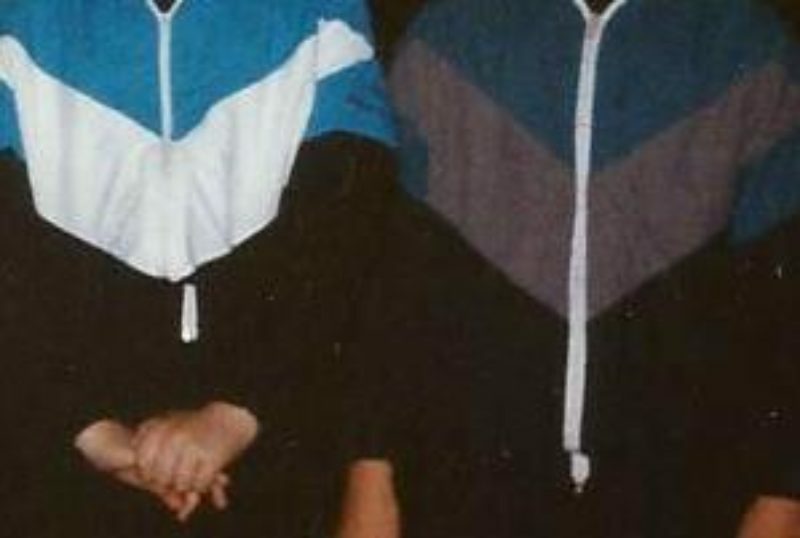 Perhaps most vividly—and an early lesson learned in the domain of uniform—I cannot forget my mother washing my first gymnastics club leotard and tracksuit at a temperature too high, the black dye leaking over into the white, pink and blue patchwork of teardrops and panels. They remained functional, but subsequent competitions were marred by the wearing of those ruined items. The breadth of these memories leaping forward is entirely reflective of the scope of The Inventors of Tradition II in terms of the project’s public forms, its wide-ranging influences, and the background processes and preoccupations given visibility over its pages. The publication brings together each of these prior selves—which encompassed an exhibition, design collection, dance performance, film screenings and conversations—drawing out their connections through essays, personal reflections, interviews, and a playful mise-en-scène dialogue from Lucy McKenzie. This dialogue flits between 1901, 1911, 1938 and 1988 in the very same way in which the projects points-of-reference cover historical ground. Playing with attendance at the large-scale public festivities from which so many influences are drawn, the publication is marked with souvenir-like mementos tucked away for another time: a bookmark, a pamphlet, a 6×4 colour photo. Many of the texts compiled within the volume draw upon archival research, or personal collections—of scents, press cuttings and the back catalogue of jewellers Ceard and Carrick. These are preceded by a number of thematic sections, on the notion of the casual, on perfume, on style in Glasgow, and on the artists’ home. The influences The Inventors of Tradition II gathers together and departs from do chart international connections and stylistic imports, but the project is firmly rooted in histories of design and style local to Glasgow and Scotland. Its richness lies in this: an understanding of the impact and trickle-down effects of Mackintosh, of football shirts, of high fashion, into the everyday and back again. 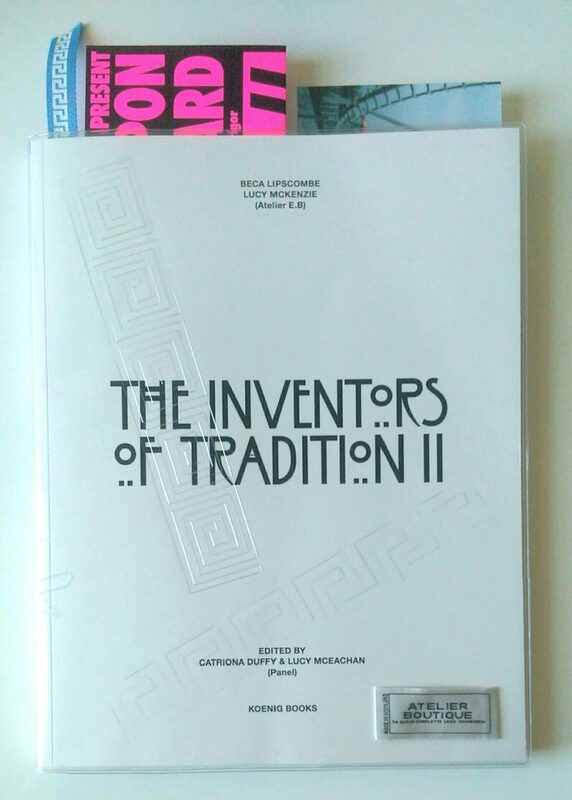 The Inventors of Tradition II is published by Koenig Books, £38, and is distributed worldwide. It is sold in Scotland through www.wearepanel.co.uk and selected bookshops. Essay contributions are from Michael Bracewell, Rebecca Gordon-Nesbitt, Fiona Jardine, Juliet Kinchin, Mason Leaver-Yap, Mairi MacKenzie, Ray McKenzie, Bernie Reid, Rebecca Wober and Linsey Young. These give insights to 1980s football casual style and culture, perfume scents and their social significance, Glasgow’s cultural policy, city branding, the architect Peter Womersley, his friend and fabric designer Bernat Klein, filmmaker Murray Grigor and artist Gerald Laing. Interviews with Jill Bryson from 1980s new wave duo Strawberry Switchblade, choreographer and dancer Ellen Van Schuylenburch and Mockintosh jeweller Eric Michael. Archive photography and photographic compositions by Kimberley O’Neill and Eileen Quinlan with Jack Miskell. The publication was launched at The Art School (Glasgow School of Art Student Association building) on Wednesday 30 November 2016. The launch included a recreated performance-installation by Jill Bryson of Strawberry Switchblade, inspired by her 1981 degree show work. The Inventors of Tradition II is a project by Atelier E.B and Panel. An exhibition took place at the Palace of Art from 2–30 May 2015 and was conceived in partnership with the Palace of Art and Steff Norwood. A special programme of events connected to the exhibition included the work of acclaimed film director Murray Grigor and four performances of the dance piece ‘O YES’, a recreation of ‘Yes O Yes’ from the production I Am Curious, Orange, 1988, by Michael Clark.